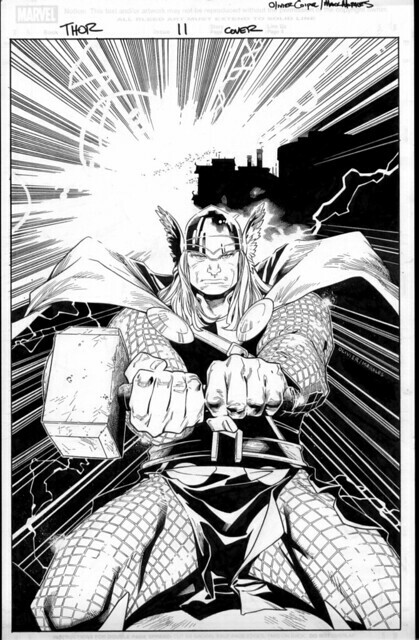 I've missed a few Thurdays, here are a couple of Thor pics to catch up on my good Nordic karma. You get enough good karma stored up, then Hela reserves a special birth for you in Valhalla. 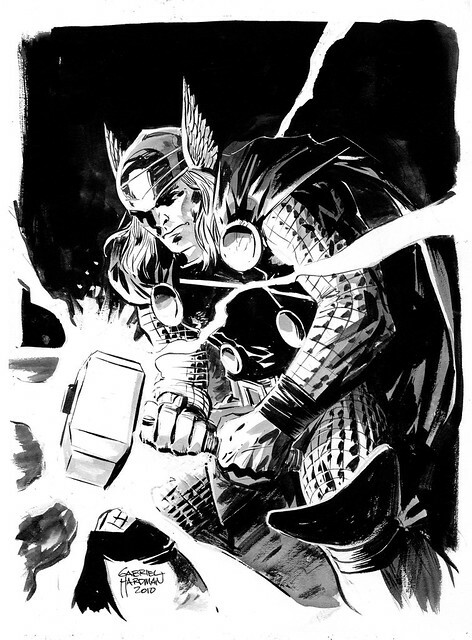 Here's the cover to Thor 11 after Mark Morales inked Olivier Coipel's pencils. And here again, I think you see the genius of Jack Kirby. Most fantasy characters express their power through a sword. Maybe a regular sword, a flaming sword, or a sword that steals souls. Thor uses a freakin' HAMMER for crying out loud. How do you a draw a dynamic hammer? Kirby did it by making it larger than life, and so do these guys. My favorite Marvel quote: "Yeah? Well, my God has a HAMMER!" Nick Fury, Secret Invasion #8. Link: Mark Morales on deviantART.